Nike - Nike Mini Basketball - Black/White/University Red A mini basketball that doesn't sacrifice quality. The cushioned rubber cover is soft to the touch. A pebbled pattern will help prevent dust or dirt buildup. Molded deep-channel design allows for better ball control. 100% rubber. Nike - Nike Mini Basketball - Amber/Black/White A mini basketball that doesn't sacrifice quality. The cushioned rubber cover is soft to the touch. A pebbled pattern will help prevent dust or dirt buildup. Molded deep-channel design allows for better ball control. 100% rubber. 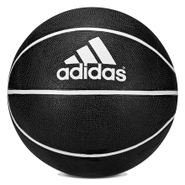 Adidas - When Tim Duncan squares up you know it's going in and this adidas Big Fundamental Basketball is named for the big man and his magnetic hands. Made from high-quality rubber. Adidas - 3-Stripes Basketball Drive shoot score repeat. This patented composite ball is designed to deliver excellent performance and palmability so you can deliver the win. Adidas - Drive shoot score: repeat. 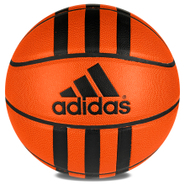 The adidas 3-Stripes Basketball is a patented composite ball designed to deliver excellent performances and superstar palmability. Now go out there and win. 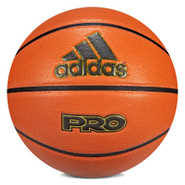 Adidas - Prep 29.5 Basketball It's your basketball and your game to win. 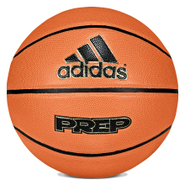 The adidas Prep 29.5 ball is perfectly designed for pulling off every dribble drive pump fake and layup indoors or out. Nike - Team Elite Competition Basketball - Womens Soft touch superb grip Game-Dry composite leather is micro-perforated to keep the ball grippy and dry in your hand. Quicker shooting alignment Wrap-around panels remove channel intersections for a quicker alignment on each shot. Nike - Hyper Grip Basketball - Mens Durable composite leather performs both indoors and out. Textured dimples help repel sweat for improved grip. Engineered design adds durability and helps retain shape. 86% rubber/14% synthetic leather. Jordan - Hyper Grip Basketball - Black/Gym Red/Gym Red Play anywhere with the durable indoor/outdoor Hyper Grip. Long-lasting composite leather performs indoors and outdoors. Rugged grooves covering the surface improves ball control. 82% rubber/18% synthetic leather. 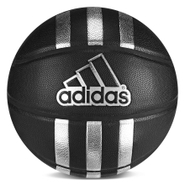 Adidas - PRO Series Basketball Ever wonder what it's like to have the kind of magnetic hands that KG or Tim Duncan do? This supremely palmable ball is designed with that in mind. Enjoy the feeling superstar. Nike - Team Hyper Elite Basketball - Womens Composite leather cover for durability and enhanced grip. Wide channels for more precise ball handling. Rotationally wound butyl carcass for shape retention and durability. Sz: 28.5 . Jordan - Hyper Elite Basketball - Dark Amber/Black Feel powerful in your game with a Jordan Hyper Elite ball. Composite leather cover is both grippy and durable. Wide channel promote precise ball handling. Size: 29.5 .